After fifteen years as an Associate Professor of Clinical Pharmacy, Victoria felt called to connect to something greater. Therein she embarked on a soul-discovering journey grounded in the transformative work of Depth Hypnosis. Using this powerful therapy, Victoria has witnessed herself and others rediscover their true nature by transforming limiting beliefs, addressing self-sabotaging patterns, and healing unconscious fears and traumas. She believes that by accessing our inner wisdom and deepest knowing we can find our way back home, for the answers we seek lie within. 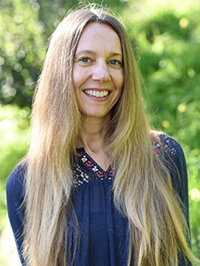 Victoria provides a safe, supportive, and compassionate space for her clients as they embark on this unique journey of healing and growth.